At this time I am not supervising new research students. Daniel Vokey completed a Ph.D. in Philosophy of Education under the supervision of Dwight Boyd at the Ontario Institute for Studies in Education of the University of Toronto. 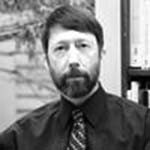 His current research interests include integrating eastern and western perspectives on the development of practical wisdom, focusing on the experiential side of the theory-practice dialectic through which intellectual and moral virtues are cultivated. In addressing this topic Daniel draws not only from his background in moral philosophy, but also from both his professional career in adventure-based experiential education (typified by Outward Bound) and his study and practice of Shambhala Buddhism. Vokey, Daniel. (2012). Spirituality and professional education: Contributions toward a shared curriculum framework. In J. Groen, D. Coholic, and J. R. Graham (Eds. ), Spirituality in social work and education (pp. 97-120). Waterloo, ON: WLU Press. Vokey, Daniel. (2011). Moral education for the 21st century: A Buddhist view. In J. DeVitis and T. Yu (Eds. ), Character and moral education: A reader (pp. 400-412). New York: Peter Lang. Vokey, Daniel and Jeannie Kerr. (2011). Intuition and professional wisdom: Can we teach moral discernment? In D. Carr, C. Clark, E. Bondi, and C. Clegg (Eds. ), Towards professional wisdom: Practical deliberation in the ‘people professions’ (pp. 63-79). London: Ashgate Publications. Vokey, Daniel. (2010). Border crossings: Dialogue across and within fields and traditions. Paideusis, 19(1), 69-76. Ruitenberg, Claudia and Daniel Vokey. (2010). Equality and justice. In R. Bailey, D. Carr, R. Barrow, and C. McCarthy (Eds. ), The SAGE Handbook of Philosophy of Education (pp. 401-414). London: Sage Publications. Vokey, Daniel. (2009). “Anything you can do I can do better”: Dialectical argument in Philosophy of Education. Journal of Philosophy of Education, 3(1), 339-355. Vokey, Daniel. (2008). Hearing, contemplating, meditating: In search of the transformative integration of heart and mind. In C. Eppert and H. Wang, (Eds.) Cross-cultural studies in education: Eastern thought, educational insights (pp. 287-312). Mahwah, NJ: Lawrence-Erlbaum. Vokey, Daniel. (Ed.) (2007). Philosophy of Education 2006. Urbana-Champaign: Philosophy of Education Society. Vokey, Daniel. (2006). What are we doing when we are doing Philosophy of Education? Paideusis, 15(1), 45-55. Vokey, Daniel. (2006). Reasons of the heart: East-West dialogue and the search for moral truth. In D. Spivak & S. Burn (Eds. ), Unity and diversity in religion and culture: Exploring the psychological and philosophical issues underlying global conflict (pp. 590-600). St. Petersburg, RUS: Eidos. Vokey, Daniel. (2005). Spirituality and educational leadership: A Shambhala Buddhist view. In C. Shields, M. Edwards, and A. Sayani, (Eds.) Inspiring Practice: Spirituality and educational Leadership (pp. 87-99). Philadelphia, PA: Pro>Active Press. Vokey, Daniel. (2005). Teaching professional ethics for educators: Assessing the “multiple ethical languages” approach. In K. Howe (Ed. ), Philosophy of Education 2005 (pp. 125-133). Urbana-Champaign: Philosophy of Education Society. Vokey, Daniel. (2003). Pursuing the idea/l of an educated public: Philosophy’s contributions to radical school reform. Journal of the Philosophy of Education, 37(2), 267-278. Vokey, Daniel. (2002). MacIntyre and the catch-22 of Aristotelian moral education. In S. Rice (Ed. ), Philosophy of Education 2001 (pp. 192-199). Urbana-Champaign: Philosophy of Education Society. Vokey, Daniel. (2001). Longing to connect: Spirituality in public schools. Paideusis, 13(2), 23-41. Vokey, Daniel. (2001). Moral discourse in a pluralistic world. Notre Dame: University of Notre Dame Press. EDST 314 The Analysis of Education (recently renamed Social Issues in Education).